This past year, we lost our dear friend Jim Rossi. Our thoughts and prayers are with Pam and Jordan and all his family and friends. Jim has been a tireless supporter of the Lagoon Society since it was formed fourteen years ago and when he joined the board a few years back he brought with him a wealth of experience in the study and exploration of the natural world - particularly in his incredible knowledge of marine life. 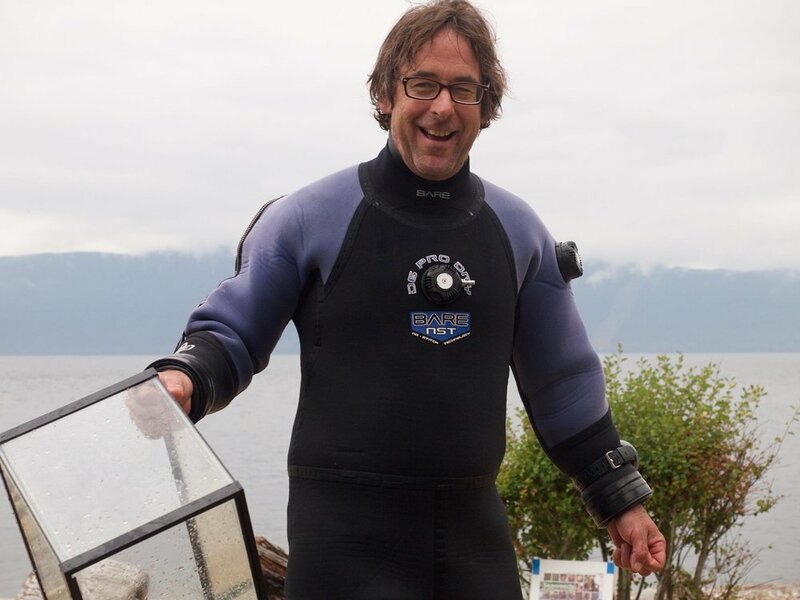 Jim was one of the founding fathers of the PODS (Pender Harbour Ocean Discovery Station) project and he stepped up as chair just a few months ago to help guide us through the process of bringing this amazing facility to life. PODS was his dream and he was looking forward to helping to run the facility in the years to come. Jim loved all living things and he was totally dedicated to preserving biodiversity. In particular, he was in awe of everything that lived in or near the sea. The ocean was his playground and he was never happier than when he was squeezing into his wetsuit, hitching on scuba tanks and getting ready for another fascinating underwater adventure. We will always remember Jim for his contributions to our BioBlitzes, which was his favourite event of the year. The touch tanks that he set up were always the star attraction and provided endless joy and fascination for all the aspiring young marine biologists who had such admiration for Jim and the way he was so happy to spend time mentoring them. Jim was one of the kindest people you'd ever meet. He was generous, extremely gifted in so many ways and he had a wonderful sense of humor. He will be terribly missed by everyone at the Lagoon Society. We are eternally grateful to have spent such good times with Jim and to have been so inspired with his endless curiosity of the world around us. We promise to keep searching for answers Jim and we will make your dream of building PODS come true and in the months ahead I am sure you will be looking over our shoulders egging us on as always.